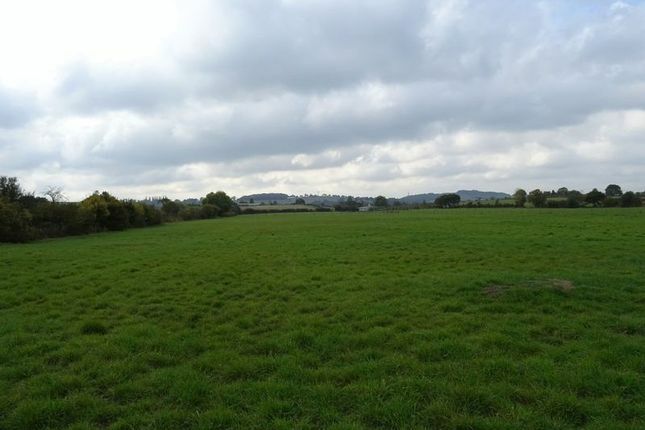 A useful parcel of amenity grassland extending to approximately 7.58 acres (3.07 ha). Having private lane access to semi rural level pasture. Occupying a splendid secluded, but not isolated, level location accessed by a right of way over a private hardstanding track off Carrington Lane, Calverton. This land provides a rare opportunity for the discerning purchaser to own a manageable parcel of land immediately outside of the village, ideal for recreational, hobby farming or equestrian purposes. Heading into Calverton: Turn right at the Coxton Cross Road, proceed onto Main Street through the village to Gleaners Public House. Take the first left to Park Road East. Take the Fifth turning on the right onto Crookdole Lane. Take the Left onto Carrington Lane. The property is accessed by gated entrance as the road bends to the left. The land is being offered on the open market for the first time in many years, extending to 7.58 Acres (3.07 Hectares) or thereabouts of convenient and accessible grazing or amenity land that has been cultivated in previous years. The land is subdivided into two fields and is bound by mature hedgerow to three sides with the remainder being post and wire fencing. All interested parties are respectfully asked not to view without booking an appointment via the sole agents’ Ashbourne Office on or by emailing . The land is being offered freehold with vacant possession on completion. There are no mains services connected to the sight, but we are advised by the vendor that mains water can be connected from the neighbouring property at cost to the purchaser. The land is sold subject to and with the benefit of all Rights of Way, wayleaves and easements whether or not defined in these particulars. These are believed to be in hand and any value attributable to them is included within the purchase price. There will be no ingoing valuation in respect of the property and neither will there be any allowance made in respect of any dilapidations that there may be. No Entitlements are included within the sale. Property descriptions and related information displayed on this page, with the exclusion of Running Costs data, are marketing materials provided by Bagshaws, and do not constitute property particulars. Please contact Bagshaws for full details and further information. The Running Costs data displayed on this page are provided by PrimeLocation to give an indication of potential running costs based on various data sources. PrimeLocation does not warrant or accept any responsibility for the accuracy or completeness of the property descriptions, related information or Running Costs data provided here.